Part II of this week was going to be all about cars, so en-route we stopped off for some castle action. 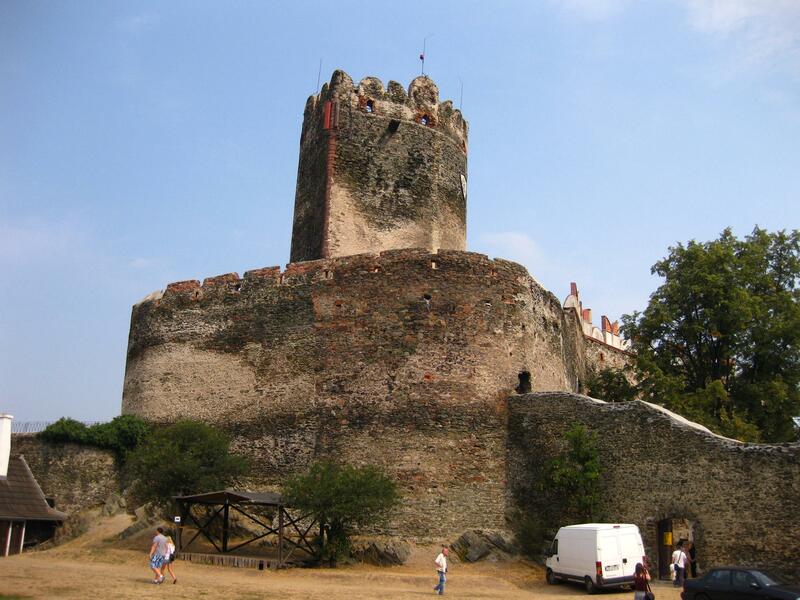 There is no shortage of choice as Bohemia has numerous castles and châteaux from it’s various historical epoques, travelling down any road there are signs in most directions to a historic church, castle or museum. 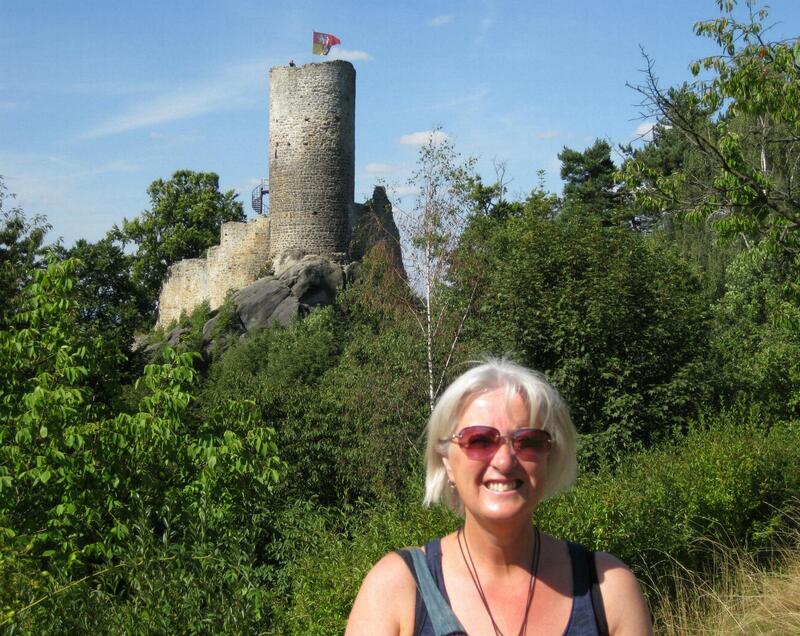 We went for Frydstejn, perched high on a hill it is a typical rock castle. Built sometime in the 14th century the castle consists of a tall turret on a sandstone ridge, the rooms were carved out of the nearby rocks and have long since gone. The car-park was a 15 minute walk away, where we encountered the most unhappy looking car-park attendant on earth. Once we established a price he insisted I walk over and read his sign stating we had one hour. Not sure what happened if we went over but he looked so glum we didn’t risk the potential repercussions. 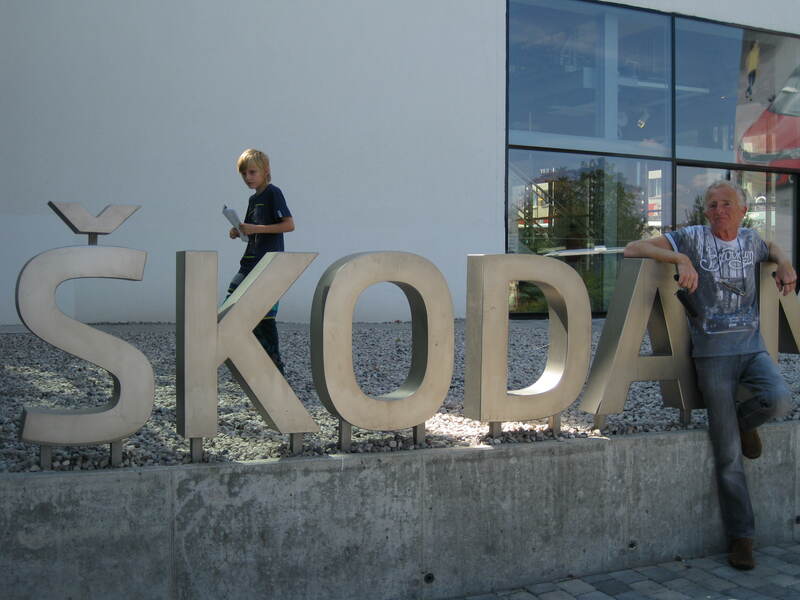 Moving swiftly on, after 10 long months we finally arrived at destination nirvana for Iain – Mlada Boleslav – the original and largest Skoda production plant in the world. We weren’t just there for a drive by visit, we had booked a tour inside both factory and museum. It’s fair to say excitement levels were high, mine in case it was like the Guinness tour and you a free sample at the end, Iain’s just because he is a Skoda freak :). A strange system for the tours, you arrive at the museum but the first visit is around the factory a couple of miles away. You take your own car, and also have to transport your guide there and back. We were exempt due to the motorhome, so they shoved us in with a few people who didn’t own a car and we got a lift the Skoda mini-bus. After much mockery I will concede the factory tour is very interesting, it firstly takes you into two of the pressing plants, where we saw doors and roofs for Octavia being produced. From there it’s into the production line – where we toured the main line as cars were being produced. Other than an instruction to not take photos it was access all areas. A yellow fluorescent jacket was all we needed, cranes moving over-head, gigantic dies being moved, the sound of metal being thumped at a million decibels – a H&S nightmare in the UK but nothing to worry about here as long as you wear the jacket that says ‘visitor’. 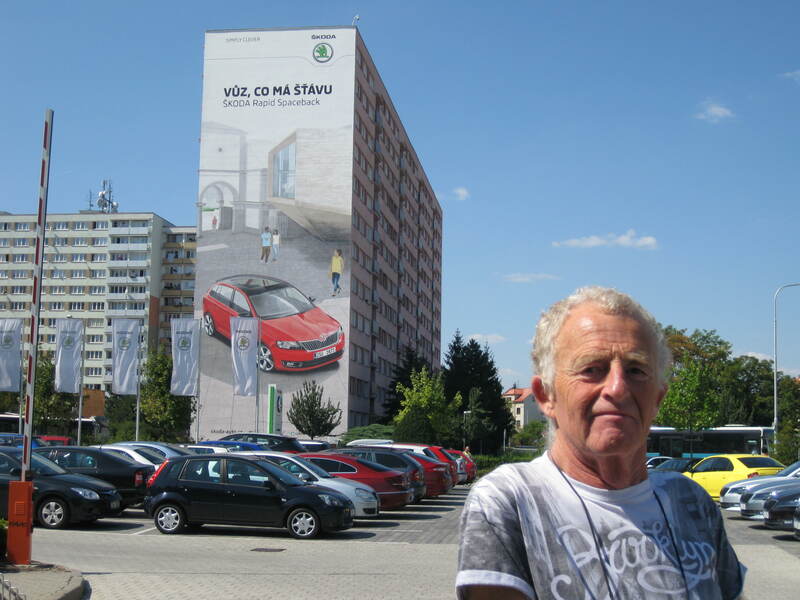 The site is similar in size to that of your average town, all the staff have to park their cars outside the factory and walk, with 25,000 employees in the main factory there are a lot of car-parks – oddly enough rather full of Skoda’s! Back at the museum there are many Skoda cars to see, many, many, some old, some not so old. 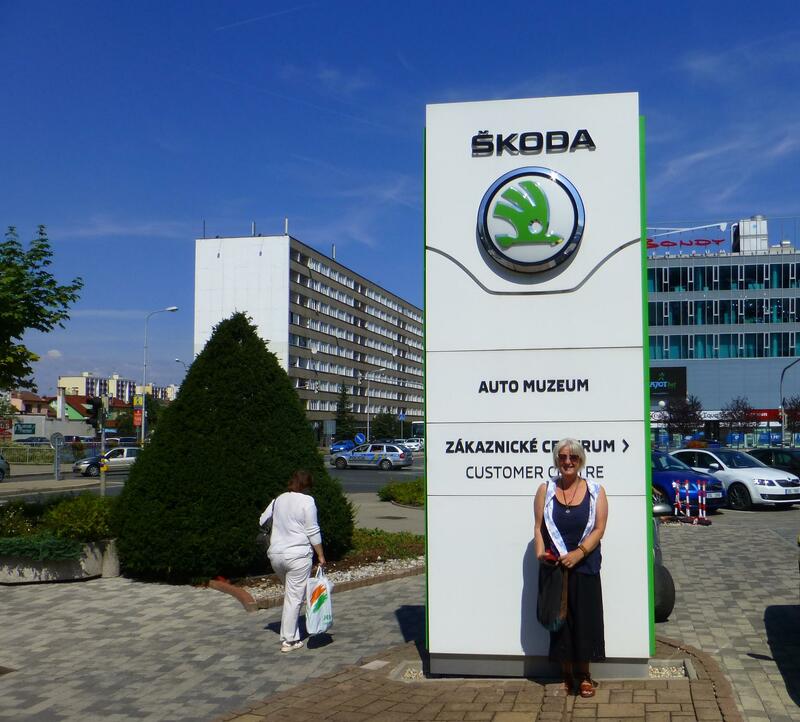 I left Iain to it and went and read a book whilst he indulged in Skoda history. 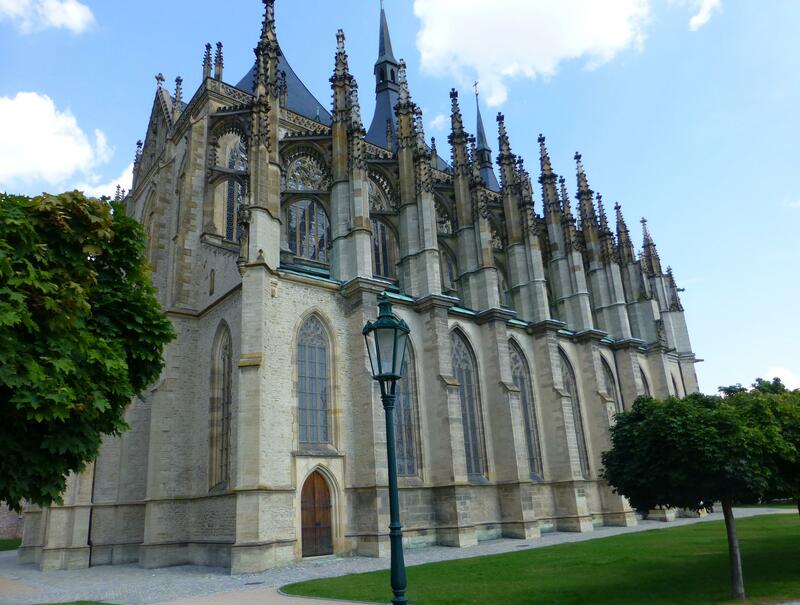 After an automotive over-load the plan was to visit Kutna Hora. We had toyed with idea of Prague but decided against as a) its mid August and we are told it’s heaving, b) the four campsites in the city all advise they are full. Kutna Hora is recommended by the Czech tourist info as the place next worth visiting after Prague, so that’s where we went. 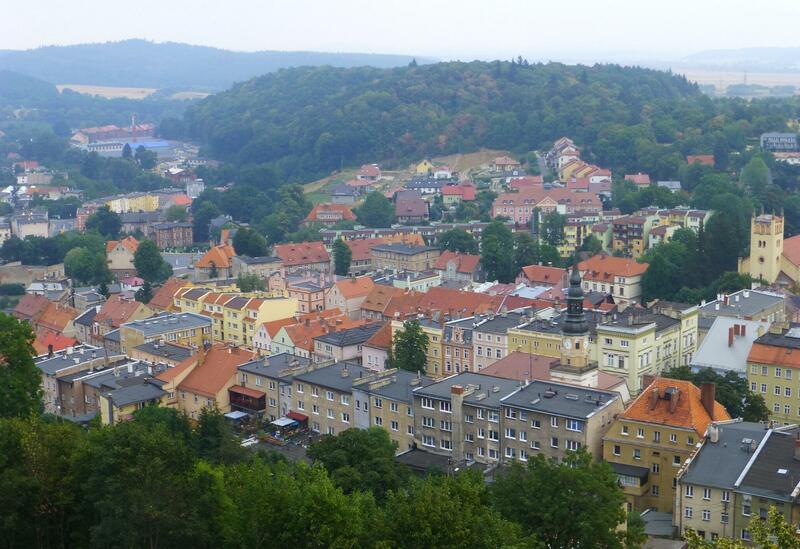 The city is in the central area of Bohemia, and was established as a silver mining area by the Germans in 13th century. Now a Unesco site (where isn’t? 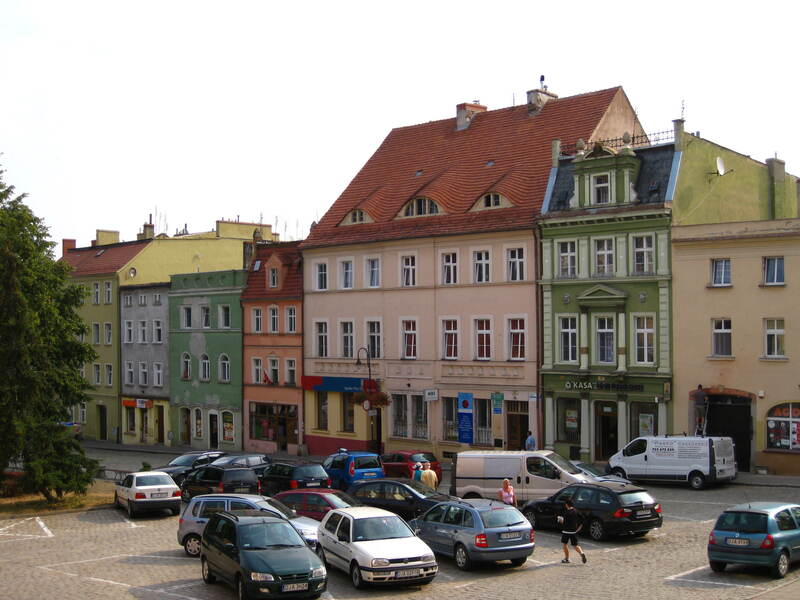 ), there are truck loads of thing to see in a very small area, for although they call it a city it’s really no bigger than your average small market town stuffed full of historical buildings, cobbled streets and quaint ally ways of shops. Surprisingly, it wasn’t as busy as we thought it could be. There were plenty of people around but nowhere was over crowded and we were able to get to see everything we wanted without queues or hoards of people. Unfortunately several of the buildings we wanted to see were shrouded in scaffolding for repair or restoration, no matter there were more than enough with two cathedrals, a Jesuit college and even an ossuary (bone chapel). We found that if we wanted to shop then we needed to be up earlier on a Saturday – shops were only open from 8am to 11am then closed until Monday. 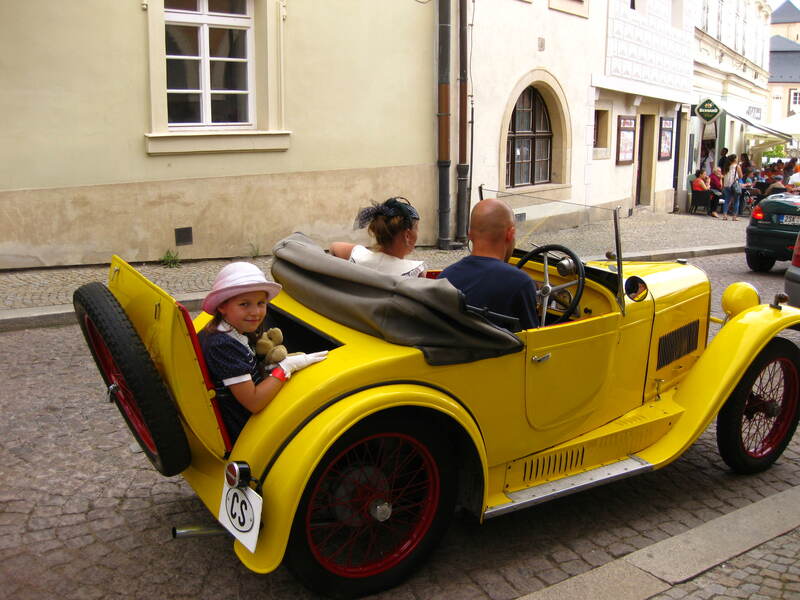 Just when we thought a place couldn’t get any better we came across more cars – this time a vintage car rally in the centre of town. Iain believes all his Christmas’s have come at once this week. The cars were all pre 1935 and the owners were all dressed in period costumes, my favourite bar none was the gorgeous little girl sat in the rumble seat, happy to pose and wave at anyone with a camera. 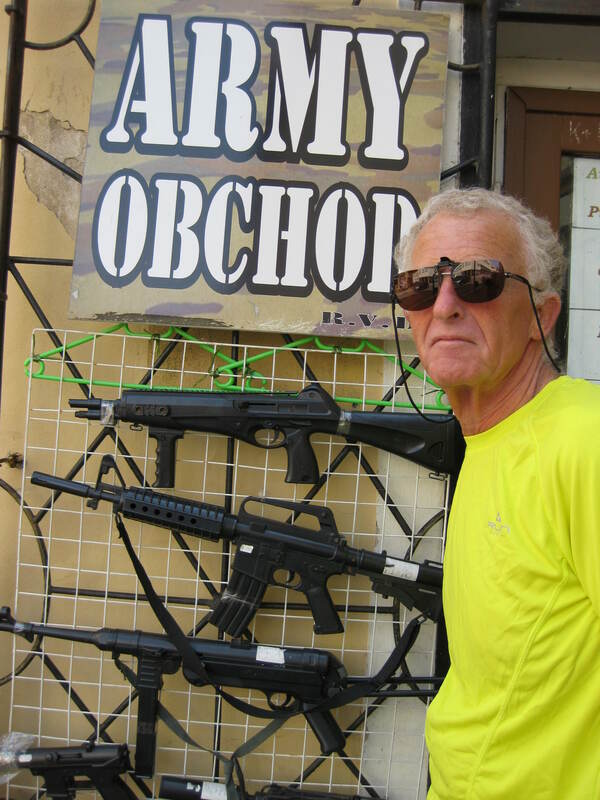 The Czech Republic is proving to be a winner with us. My role of chancellor of our tour exchequer is reaping the benefits of some of the cheapest prices we have seen throughout Europe. Campsites are much improved, the weather is good enough that evenings can be spent sat outside until after 10pm with just the sound of campers chatting and the smell of over-cooked sausages on barbecues. Again there are not too many motorhomes about, as with Poland vehicles over 3.5 tonnes need Go Boxes to pay tolls, possibly why so few larger moho about. The mix of campers in tents and smaller vans here is very cosmopolitan, tonight we are on a small garden site with vehicles from Netherlands, Germany, Denmark, Russia, France and one Czech. All our moaning about the weather came back and bit us on the bum – Monday was pretty much rain all day. The first couple of hours were bright enough so we walked into the village to see what was there. 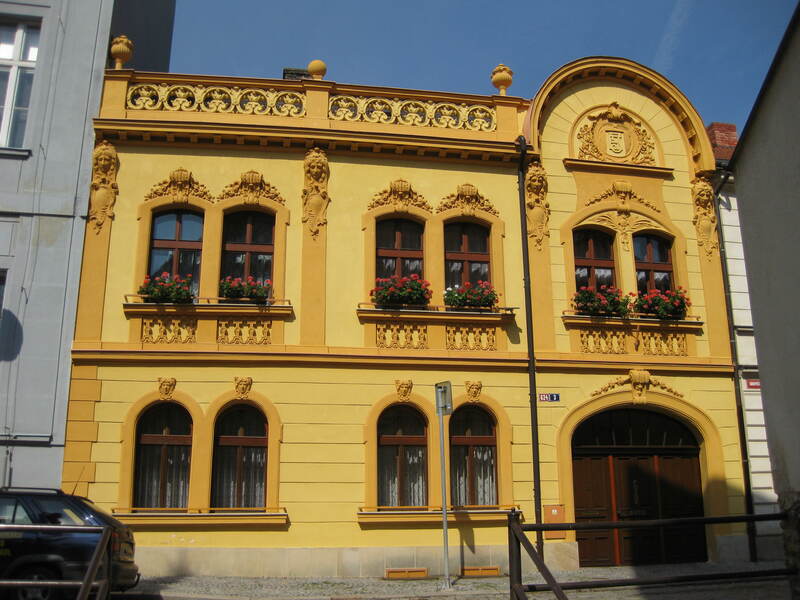 Whilst Bolkow will probably never win any beautiful town awards it has the look of being well lived in, yet well cared for. Around the town square on three sides were old buildings, once painted in bright pastels, which although they looked like they needed a new coat of paint when the sun came out they looked well enough. The majority of the shops were open, selling the usual stuff we all don’t need with the addition of many, many arrangements of silk flowers. We had a perusal through the town shops, still marveling that everything is a bargain based on price – whether we need it or not. I couldn’t resist a new oil-cloth for the picnic table at £2! Got it back to camp, put in out, sat and admired it under the awning along with our friendly wasp brigade. Twenty minutes later we noticed a hole burnt into the cloth, that would be the insect repellent bottle that we had left on there. If it does that to the tablecloth Lord alone knows what its doing to our skin so we have binned that one and will be embracing the wasps more often. Back onto town and the main attraction of the village is the castle, as all good castles should be high on a hill above the town. Built in the 13th century and devastated in the Thirty Years War in the 17th century, restoration work didn’t start until 1905. The restoration is ongoing, not all sympathetically as lots of very new looking brick work appears around door frames. 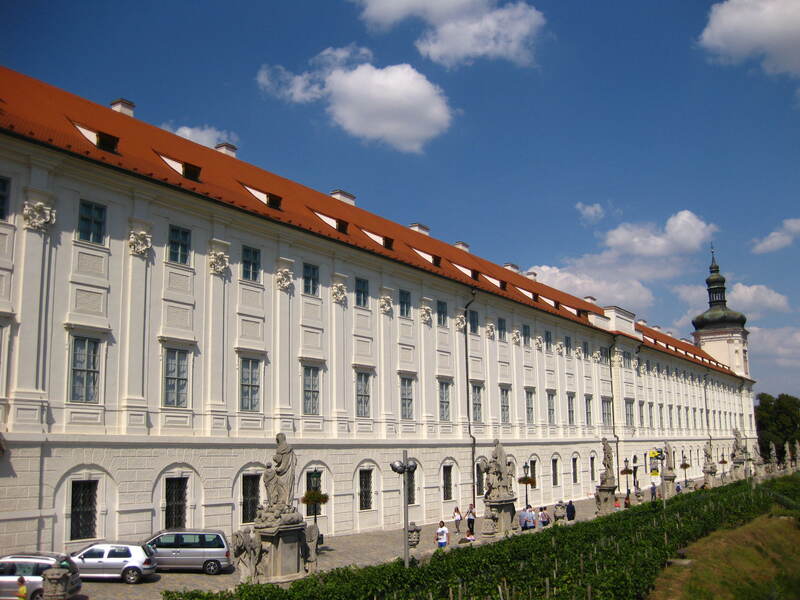 The central courtyard houses a bar and cafe and an annual Gothic rock festival takes place inside the castle walls – it seems more restoration is to stop it collapsing than to bring it back to its former glory. 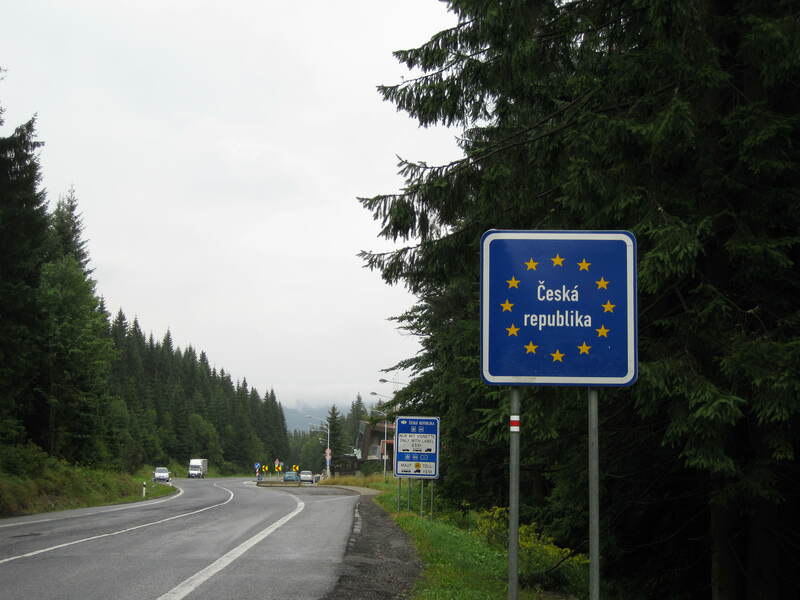 Our route towards the Czech Republic took us over the Giant Mountains, not actually that giant as they are relatively low but despite that they have a climate similar to the Alps with low winter temperatures and a long period of snow cover. We stopped off at Szklarska Poreba, a popular ski town just before the border. Plenty of new building work taking place with wooden hotels and chalets sprouting in every corner. The ski area covers a massive area for both alpine and Nordic skiers, this along with the low costs here compared to the Alps has seen the whole area growing in popularity with those fans of hurling themselves along in the snow. Even in summer its busy, a few outdoor shops, lots of restaurants and bars and more ticky-tacky stalls than we have seen since Dracula’s castle. We walked up to the chair lifts to consider a lift up and a walk back down – deemed pointless though as low cloud meant there weren’t any views that could be seen (phew). Instead we made do with an evening in the centre of town at a small campsite come hippy haven. An eclectic mix of people who took too much of one thing or another in the 1960’s along with a few motorhomes – everyone rubbed along together rather well. On our way out of Poland we found a garage selling vignettes, £5 for 10 days, and exchanged our Zloty into Koruna – for the first time in nine months (except the Euro zone) we have arrived in a country with the correct currency and road tax, we seem to be getting the hang of it at long last :). We only travelled a few miles over the border before stopping off at Tanvald. 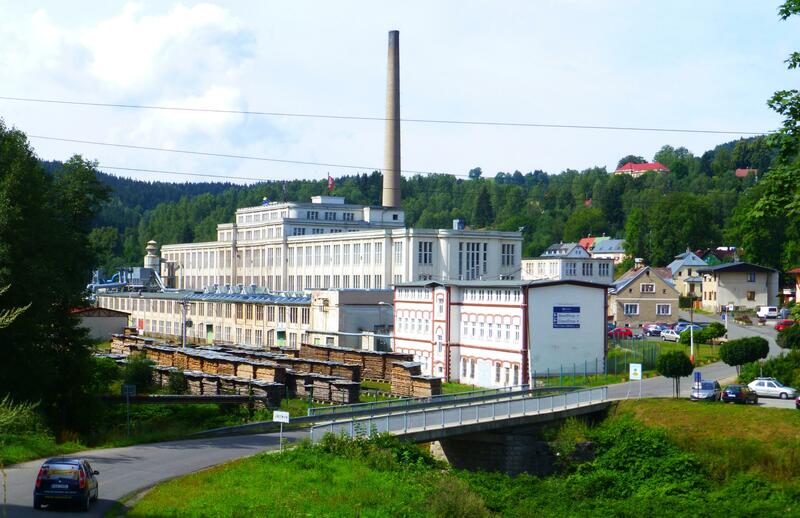 Not the biggest or most exciting looking of towns, now mainly a winter ski resort but not so long ago the centre of glass making in Bohemia, the evidence of which can still be seem with several gargantuan abandoned factories along the valley. We cycled to the nearest factory as we had seen a sign for a museum there. Slightly disappointing to find it was a wooden toy factory not a glass works, but still worth visiting and spend a few koruna at the factory shop where Detoa wooden toys are still produced over 100 years after the company started here. Each factory has a small supermarket area, a sports bar (aka the pub) and two or three blocks of apartments for the workers. Whilst some of the housing appears a bit Eastern Bloc many of the factories were here long before any thoughts of dividing up Europe ever too place, it seems they just replaced the factory worker houses with blocks of flats. At 4 pm we were somewhat disconcerted to hear the air raid sirens start, first in this village, then in the next, then the next etc. We had seen the loudspeakers on lamp posts through the villages and lanes and assumed it was for some type of fete. Ostensibly the air raid sirens are still tested once a month through out the country, just to be sure they are working in case they are needed – makes you feel safe here the then!